Top Ten Lists - Should You Use Them? ...and 1,000 places to see for that. ...or for something like birding hotspots around the world. How many "have to see before you die" things does this country or that city have... Recommendations like that can entice you to maybe one country over another. And we have to say, our favorites pretty much coincide with other lists.... there are just some things you must see anywhere you travel in the world. 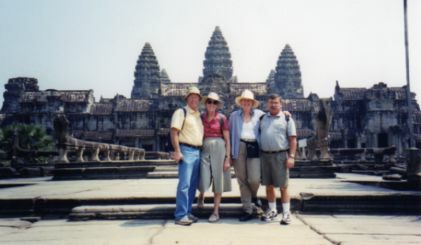 In Cambodia, you must see Angkor Wat. In Cairo, you must see the Pyramids. You want to see the Eiffel Tower in Paris and Big Ben in London. Just remember that any list, whether it's top sites in a particular country or what you need to see before you die... any list is always someone else's idea of what is important. Use these lists, but don't define your trip by them. It took us a long train ride and walk to get there. There was nice art, but neither of us would have put it on OUR things to see before you die list. Restaurants - Top restaurants in a city. You could even choose restaurants by Michelin stars if you are enough of a foodie and have plenty of money. Nightlife - If you like to party, you can find the top night life spots or bars. Shopping - Are you a shopaholic? I'm sure there are lists to find the best places to shop. Wildlife - If you like nature, there are lists for the best places in the world to see wildlife. You probably can find a list for almost any hobby or interest. Some top ten lists will tell you to skip touristy sights. We don't think you should listen to them. If there is someplace you think you want to see... go and see it. Judge for yourself if it's touristy or not. 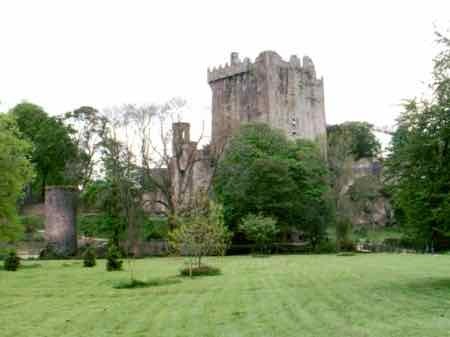 Some lists say to skip Blarney Castle in Ireland.... we liked it. It's not a bad thing to be a tourist! Everyone has a different opinion about what is fun to see and what is a bore. I really am not a shopper, so I'm going to stay away from those top ten lists for best places to shop. I will check those "best places to see wildlife" lists, then do the research to see if what they recommend is good for us. We love ancient sites, castles and megaliths... they may bore you to death. It's not necessarily fun to run from dream site to dream site just ticking them off if it's someone else's dream. Pick and choose. We do think lists are fun. Sometimes they will give you a goal... keep you going on a trip. If we can tick them off and have fun doing it, we love that. They're a good place to start your planning. Compare different lists (there are many top ten lists out there)... If they're all listing the same sights, chances are those really ARE ones you shouldn't miss. As we said before... use them, but don't be glued to them. You may just discover a top ten list of your own... and if you do, write it up and let us know!